Tintin in America – Tintin went to Chicago, USA in North America because he had some business to do with gangsters in 1931. Al Capone the leader of the gansters said to his men that Tintin, the world reporter number one is coming to clean up (to bring the gangsters to justice). When he took a train to Chicago, he went inside a taxi, but the taxi driver was one of Al Capone’s men. When he got out of the taxi he saw a motorcycle with a side-car with two police officers in it. 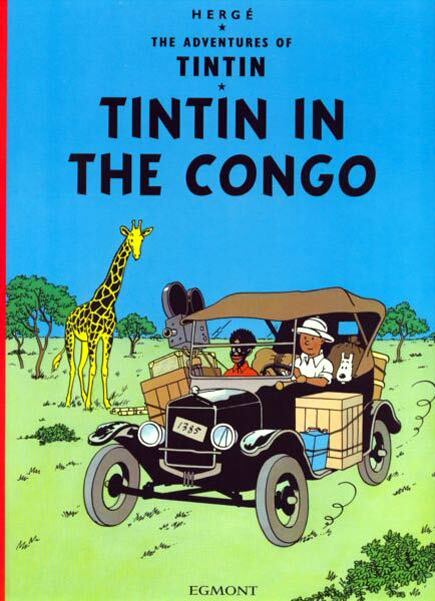 Tintin told the police officer to arrest the taxi driver. When Tintin came out of the hospital a few days later, he wanted to take a taxi, but there was a trap door and men of Al Capone knocked him out with a club. When Tintin told a police officer, he said that he captured Al Capone and a couple of his men but the policeman refused to listen and he knocked Tintin out with a club. When he was in the hotel the next day at 11:55 PM, one of Al Capone’s men came in to his room and tried to capture Tintin, but Tintin went to the next window and he said “At your service, hands up!” The bad guy dropped his gun and when the police arrived, Tintin thought that they were real police detectives, but actually they were “Gangster’s Syndicate of Chicago” men. 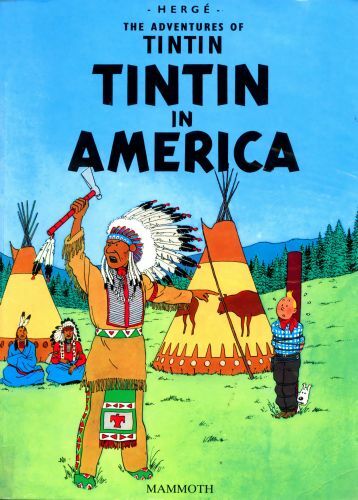 Then Tintin went to the West of the USA, where there were lots of native Americans. There he got captured by the native Americans, and they wanted to kill him with a tomahawk. 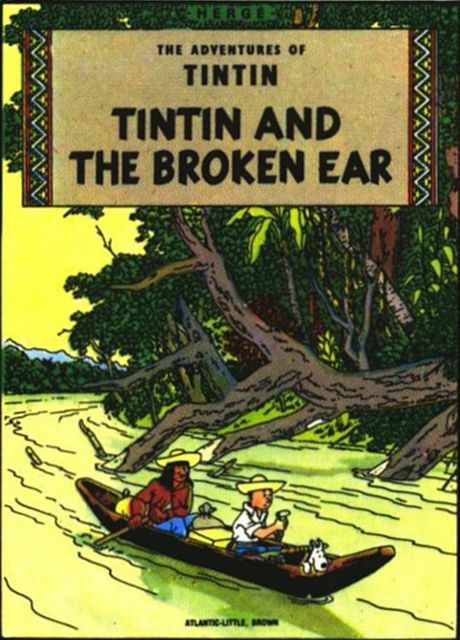 So Tintin escaped while the native Americans were fighting each other. When Bobby Smiles heard that the fight was over, he went out to see what happened, but Tintin escaped and knocked out the whole tribe. He thought that he knocked out the whole tribe. Tintin ran away as fast as his legs could carry him. Finally, Tintin captured Bobby Smiles, but that wasn’t the end. There was still another boss of the gangsters, and they captured TIntin’s dog Snowy. A detective said that an hour later he would bring Tintin’s dog, but actually it was a false dog. 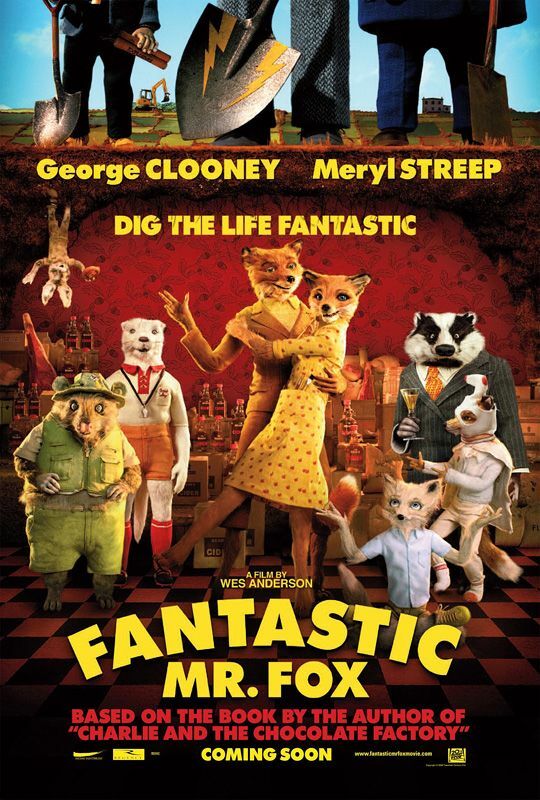 He was a bad detective, Tintin was a much better detective. 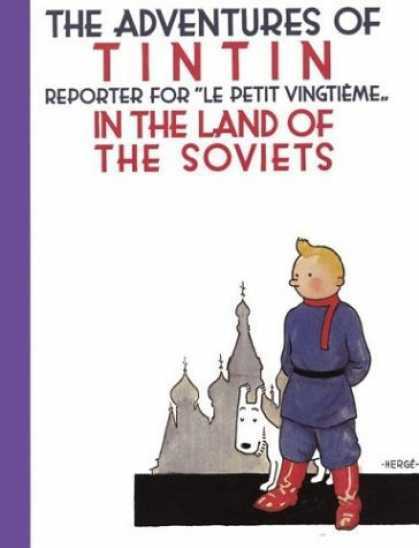 He went to jail once, but when the head detective asked him to say his name and occupation, he told the real truth, his name was Tintin and his occupation was reporter, and they let him go. He managed to rescue Snowy, but their troubles weren’t over yet. After the boss of the gangsters killed Maurice, Tintin went in and he took his gun. But the gun didn’t have any bullets, and the king of the gangsters had a sword in his hands as a stick. Tintin was invited for a dinner, but he was kidnapped by the gangsters and the detective took his dog, but he got kidnapped also and pulled Snowy by the neck. He found Tintin tied with ropes, and he got dropped in the river. After he got dropped in the river, he got rescued by the police, but actually it wasn’t a police boat it was a gangster officer. After Tintin had knocked him out, he tried to do bowling with the gangsters. He told them that he had to go to the nearest police station to take those crooks. 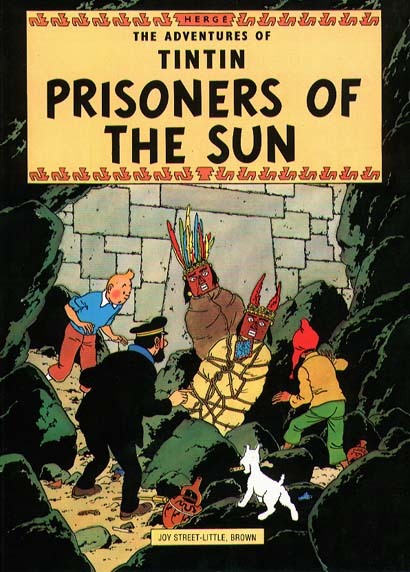 After that, they celebrated Tintin for freedom, and he went back to Europe by boat. 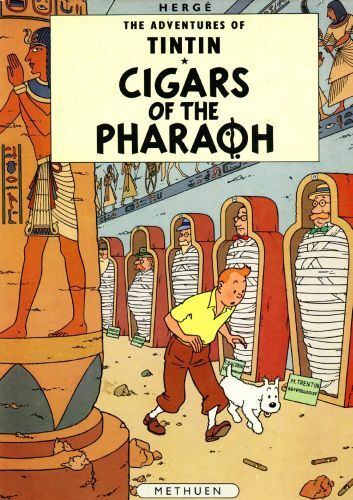 Cigars of the Pharaoh – At the beginning of “Cigars of the Pharaoh”, Tintin is still in the same boat as the ending of “Tintin In America”, he is going back to Europe. 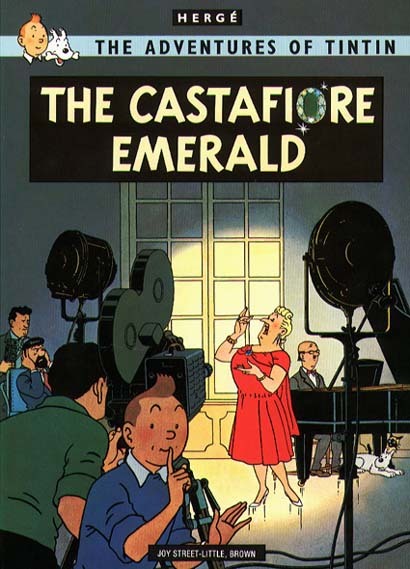 While he was going to Europe, he met two detectives, Thomson and Thompson, who had to do some duties and Tintin was in trouble because some drug smugglers put the drugs in Tintin’s cabin, and Tintin had to go to jail. But when he saw a boat, he hopped onto it and went to Port Said. 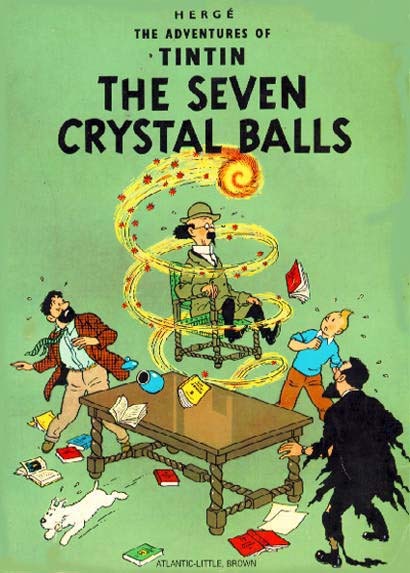 , Thomson and Thompson found out that Tintin had escaped, and Tintin found Professor Sarcophogus. When they found the tomb of a pharaoh, and it was a hide-out for drug smugglers – they hid the drug inside the tomb of the pharaoh. After that, then some drugs made them sleep and put him in a coffin. 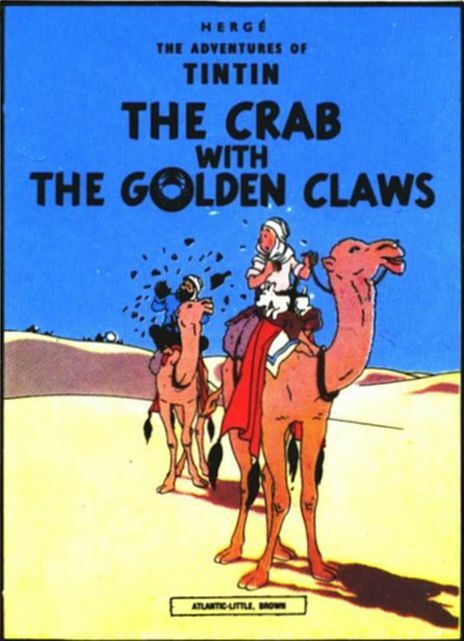 When they woke up, they were in the middle of the Red Sea, after some time a storm came but it was something like a nightmare and Tintin was resting in a ship. 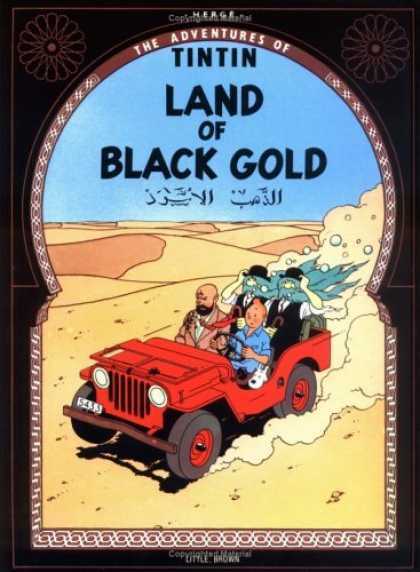 Tintin made a long journey in the Sahara desert and ended up in the army, but the soldiers thought that he betrayed the army, so a colonel put him to jail and ordered him shot to death the next day. 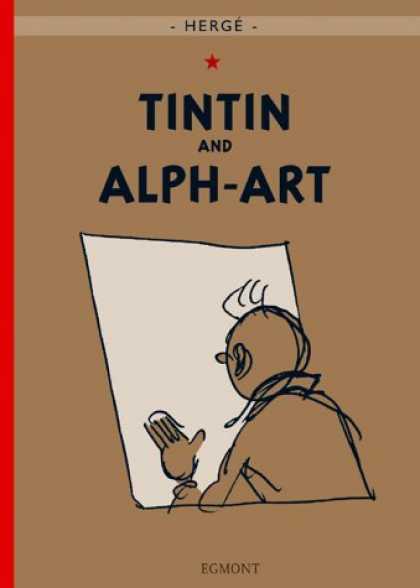 Tintin was saved by Thomson and Thompson, what a surprise. After that, he found a plane and escaped to India, there he found an elephant and had a fever. Then he met other elephants and they had an elephant party. It was amazing that Elephants also care about humans. Then the elephant took Tintin and Sarcophagus to a bungalow, there were a few people and they stayed overnight. The next morning, Tintin went to the forest to discover a few things. 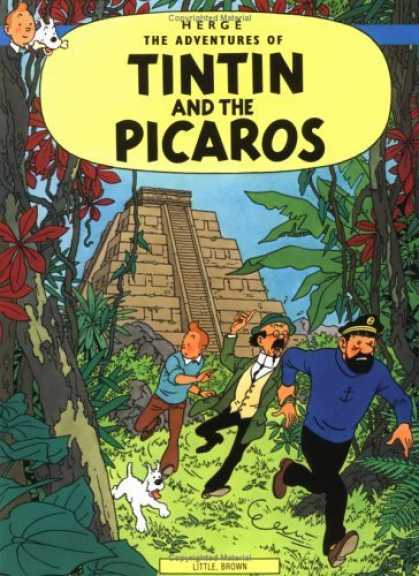 When Sarcophagus followed Tintin, he found out that it wasn’t Sarcophagus was the one who was trying to kill him but someone else. Those people use something called rajajah juice, this makes the person go crazy all the time, and some bad people used it on many innocent. 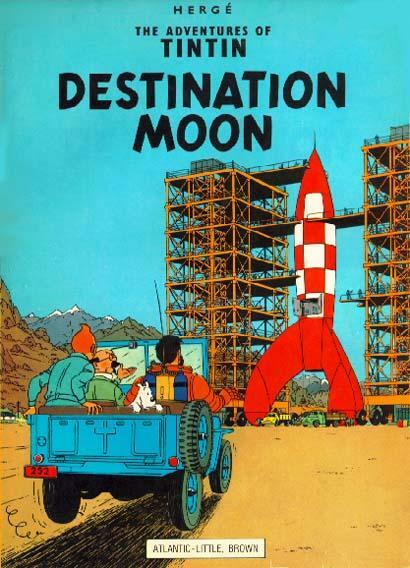 But Tintin saved the day by escaping and discovering the drug smugglers. He caught all of them by banging their heads with a bat. But the fakir who had the rajajah juice escaped. After a short while, the police arrived and Tintin chased the fakir and the mysterious leader, whose name we don’t know. 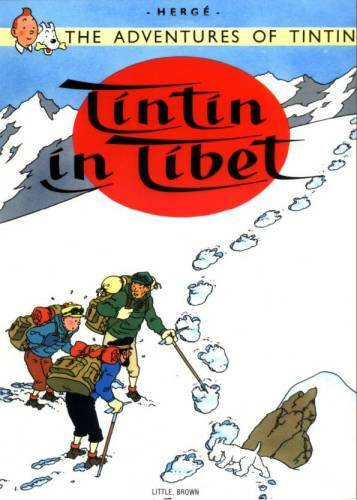 In the very end, Tintin stayed with the king for a few days and went to China. Japan trip 2009/2010, and Singapore softball! I woke up with a start. I didn’t even now that I was inside an airplane, so I said “hey, did we abort the plane already?” So I said to myself “Mama mia, papa pia, baby’s got a diarrhea.” Mama and I had breakfast on the airplane at 7:00 or 6:00, I forgot. We landed at 8:00 in Kansai International Airport. The date was Monday, November 23rd. From the airport, we went by bus to Himeji and there we saw my Japanese grandparents. On the first day I didn’t have to go to school, I could just rest. I saw Nanaka, my cousin, she is now nine years old (I am eight years old). Her birthday is May 9th. The second day I went to school. Everyone was so happy because I was back. From the third day I went to school as usual, studied math, Japanese, art, music, etc. One day we had a race, we all had to run about one kilometer around a sports field. I was 68th. Japan is very beautiful, but they have to improve on the garbage and the dog poo and clean it up. The weather in Japan was very cold. In Japan the most important holiday is O-shogatsu, this is New Year’s Eve and New Year’s Day. All my cousins came, even some of their parents came. When everybody came at night, we had a very big party with lots of crabs, which actually my Canadian grandmother doesn’t like or else she will vomit or something like that. The people all said “let’s work hard even this year, 2010.” I went to sleep at 9:00 with mama. On New Year’s Day, I woke up with a start. I went to eat breakfast with my Japanese grandparents and I received more than Y10,000, I felt very happy because now I am richer than before. We came back to Singapore on January 3rd, I was sweating a lot because it’s so hot in Singapore, although it was raining. We took a taxi and came back home. After supper, I opened my Christmas presents, most of them were Tintin books. One of them was actually a Star Wars toy, it was the Millenium Falcon Lego set. Actually, I really wanted one toy and the rest were books. This hero is 18 metres tall. He has a rocket, he is a very old character from Japanese comic books, his name is Tetsujin Number 28. First of all, I climbed about one metre on the foot part, it was made of iron. I went there with my Japanese grandmother and my mother. We went to Himeji castle one day to see a view, it was very beautiful. Can you believe that a castle could stand at least 400 years?! I went there with Edwin and Watanabe-san, our friends from living in Singapore. One day we made sticky rice cakes (mochi), which Japanese make every winter. My five cousins helped, they were Yuuta, Nanaka, Haruka and Shiota. Yuuta is ten years old. Nanaka is nine years old, Haruka is 13 years old, and Shiota is three years old. After that we ate lunch and I climbed up the hill with my friends, it was quite exciting, but two of my friends were pushing down one of my other friends, so they got into a fight, but my other friend who was knocked down, he said “stop that, stop that,” but they didn’t listen. No one was hurt in the end, and then we went back home and I watched some Arashi and went to the swimming pool with my dad. We had dinner and some fruit and played Black Peter card game, then I went to sleep. Good night. Here is the picture of the score board that shows that we were winning in the second inning (yay).